Looking for connections and meanings: poetic, pathetic or profound? Or just drivel? The dithyramb was an ancient Greek hymn. It was sung and danced in honour of Dionysus the god of wine and fecundity. Plato thought dithyrambs to be poetry in which the poet is the only speaker; while Socrates wrote â€œâ€¦ not by wisdom do poets write poetryâ€¦ butâ€¦ like soothsayers, they say many fine things, but do not understand the meaning of them." Maybe dithyrambs are just that - mindless wanderings of the imagination â€“ or dizzy ramblings of it â€“ dizzyrambic imaginings! A notable example of a more modern dithyramb would be: â€œAlexander's Feast; or, the Power of Musicâ€ by John Dryden. 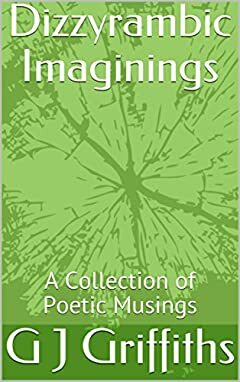 When I attempted to arrange this collection of poetic musings various groupings occurred to me: nature; destiny; love and hate; future; past, and so on. In the end the alphabetic arrangement of the titles seemed to be just as appropriate as any, so there you have it. Twenty five dizzy ramblings for your consideration.